Priced to sell! This custom built home has plenty of space to host family events. 5 bedrooms and 4 bathrooms, everybodies invited! The three car garage allows the perfect amount of space for your vehicles and even a side by side. The house also includes Air Conditioning, No HOA, RV parking, granite throughout and stainless steel appliances. An enlarged Trex deck to enjoy the wildlife and nature at its best. Master on the main floor with jacuzzi tub. Spacious open floor plan, fully fenced yard with tremendous amounts of privacy. 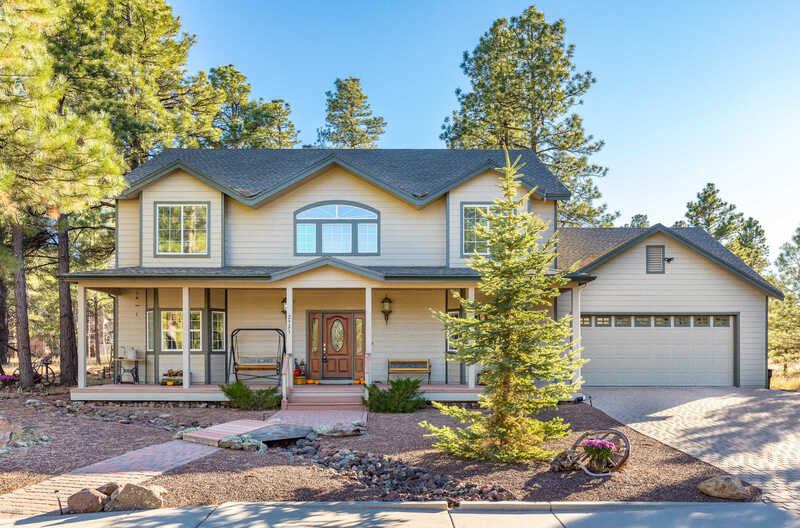 This meticulously kept one owner home is one you will not want to miss! Put this at the top of your list and reach out today for a private showing in this fantastic golf course community. Please, send me more information on this property: MLS# 175663 – $568,500 – 2921 W St Andrews, Williams, AZ 86046. I would like to schedule a showing appointment for this property: MLS# 175663 – $568,500 – 2921 W St Andrews, Williams, AZ 86046.